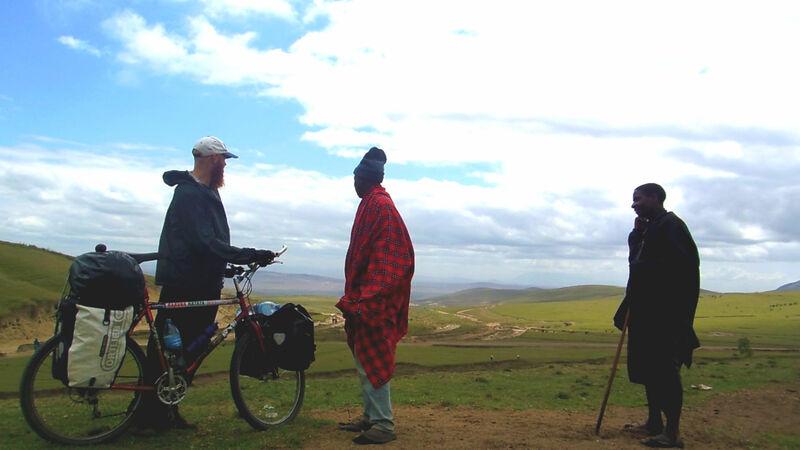 Before starting this trip there was no end to the amount of warnings or objections about an Africa bicycle tour, it seemed there was also no end to what could go wrong and the idea was mostly laughed off – I took it personally at the time. In late 2013, an “Ask me Anything” (AMA) session about No Hanging Around took front page on Reddit.com and went viral online with twenty thousand visitors in just ten hours but it was the endless negativity, insults and often dark predictions about the consequences of my irresponsible trip, that stood out the most. 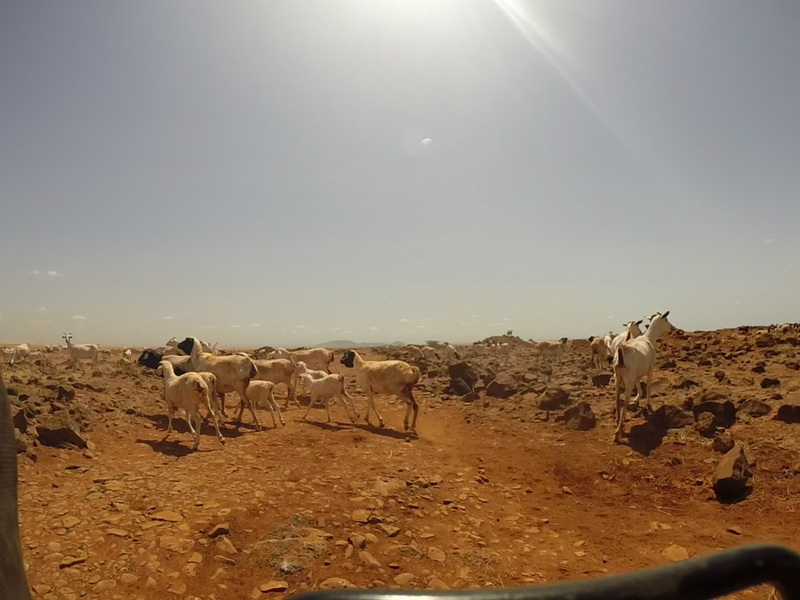 For this reason, it was unsurprising to reach Nairobi and hear so many people advise against cycling Northern Kenya. 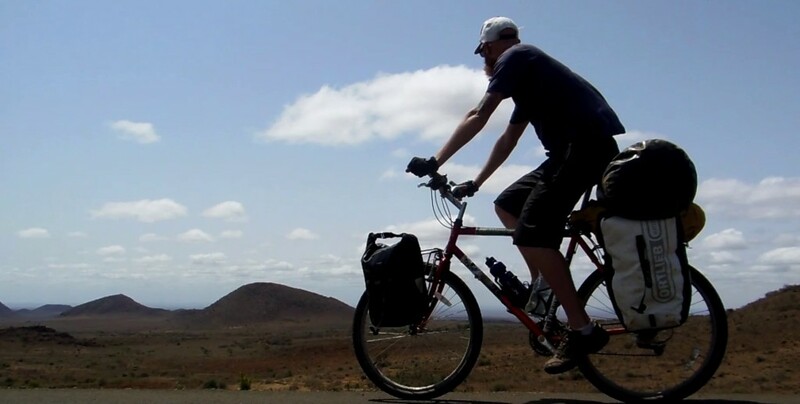 It was suggested I travel to the Ethiopia border by truck to avoid any risk of encountering the infamous tribal wars or marauding Somali bandits (fair enough) but mostly because the roads would be simply “too hard” to travel by bicycle. Truthfully, there were some serious facts to consider but much of the advice appeared wildly inaccurate and with so much advice swimming around – it was difficult to separate other peoples fears, my own stubborness and the importance for safety. I wanted to stay positive but when everybody seems to have an opinion and with so many people eager to volunteer what can go wrong or the reasons against doing what you want…..it’s hard to keep believing. 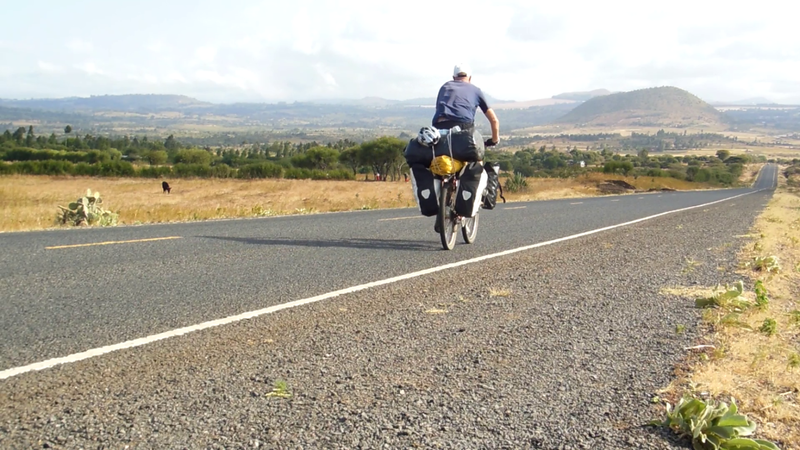 The climb out of Arusha was misleading as long gradual descents and perfect cycling weather led into great days on two wheels. 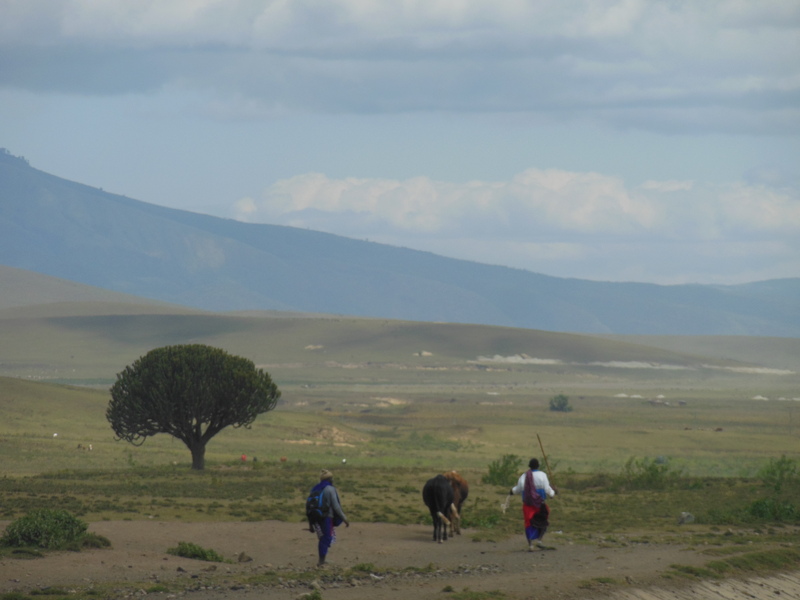 Masai tending to cattle, the snowy summit of Kilimanjaro peaking out above the clouds, I waited patiently for animals in the bush and while they never appeared – it was easy to imagine how they might have been. 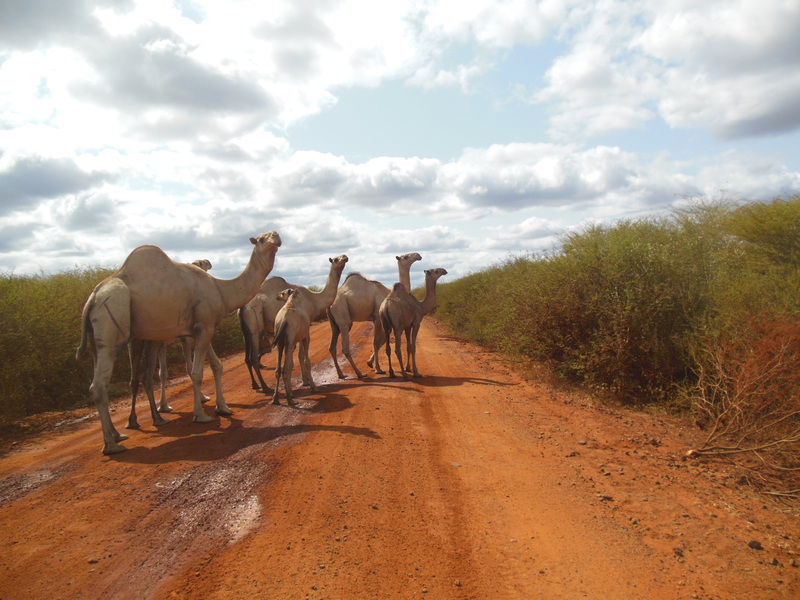 The route to Nairobi from the border was mostly uneventful but some locals did help in finding an alternative to the busy main road. 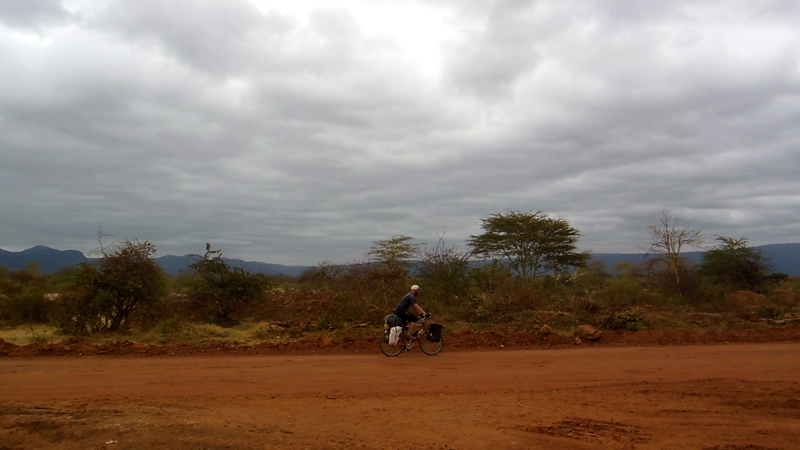 This road through countryside just south of the Kenyan Capital brought a small Eucalyptus forest along the way and enough cover to camp for the night. 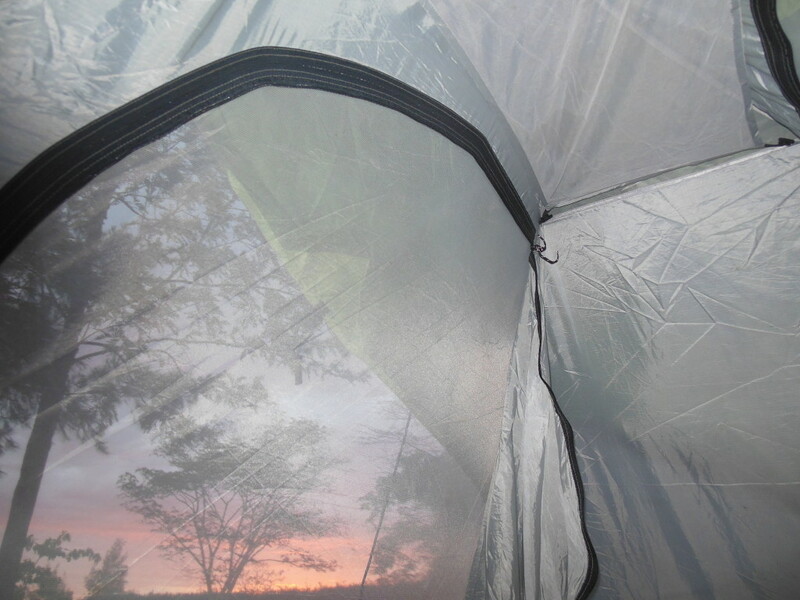 Although cold, I left the tent fly sheet off to watch the stars flicker in between the branches overhead. It was the quietest night in a long time and refreshing to wake in a forest the next morning. 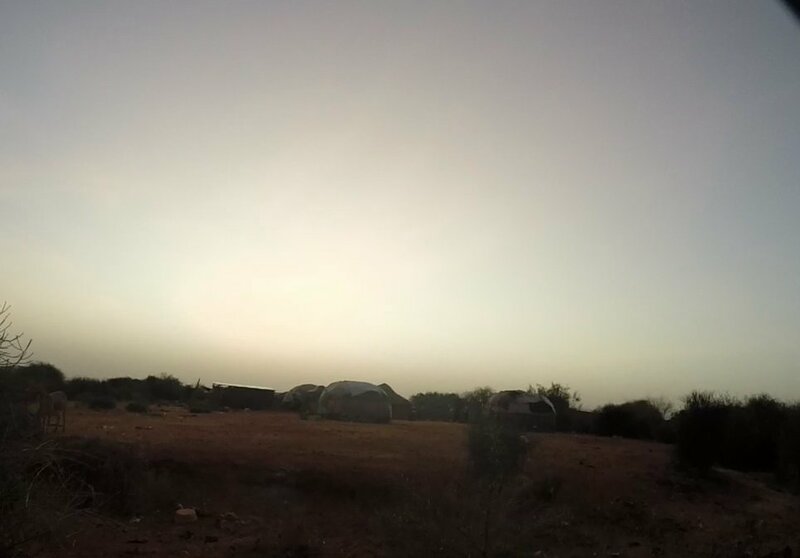 That same morning an inspiring mirage-like scene appeared in the distance. 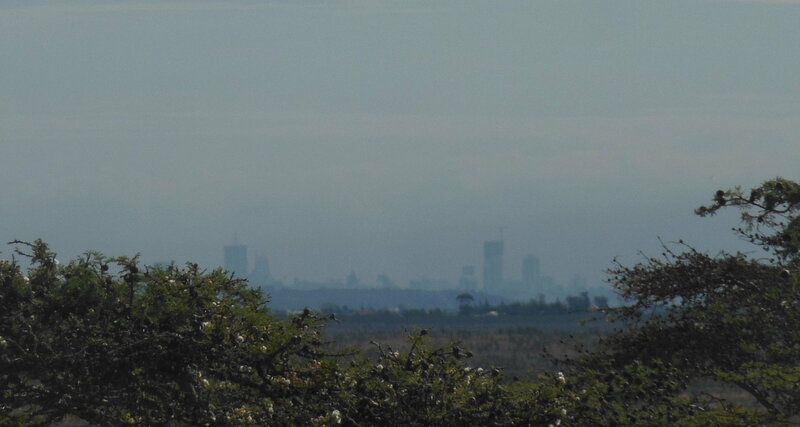 Through the bush and on the horizon, I could make out a hazy skyline of tall buildings. It looked strange given the scenery I had become so used to but it was mostly significant for being such a big milestone. 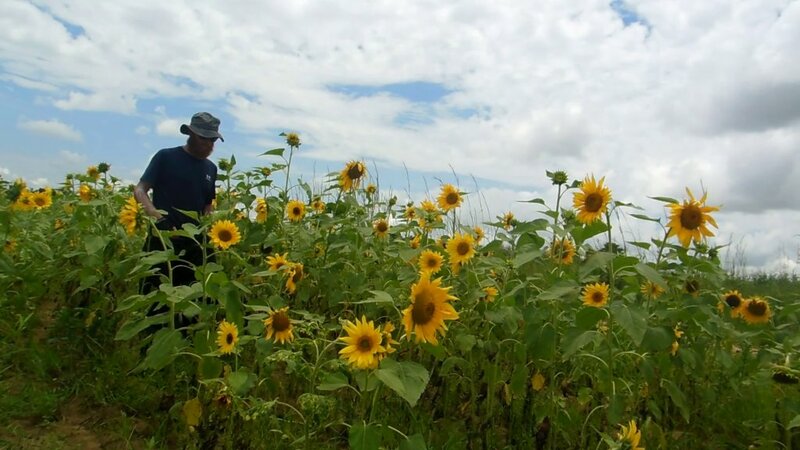 Up into the lush fertile highlands and away from metropolis, it felt like something special was being experienced. As the choir from a Gospel Church soared over the mountain tops one Sunday, I watched a father teach his tiny son to walk outside a mud hut – a great memory. 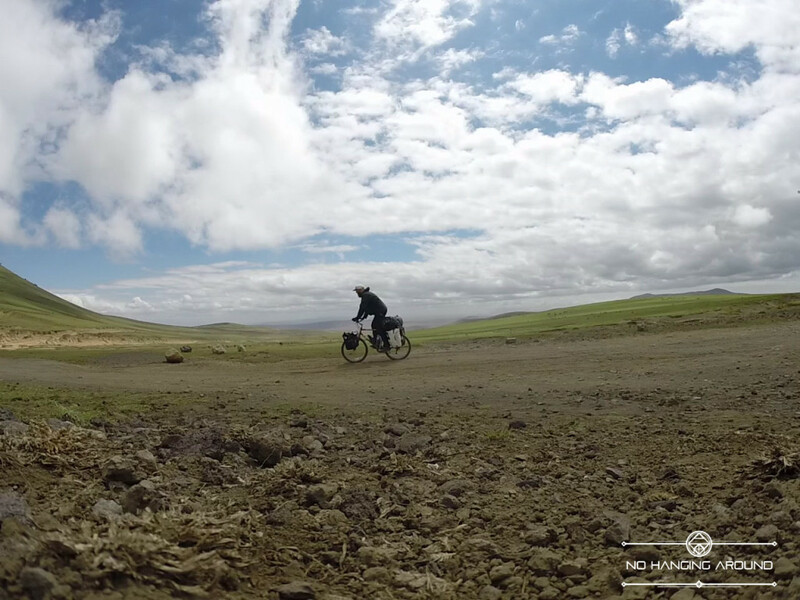 Everything was green again but the scenery never ceased to change, at one moment I was descending a hill surrounded by jungle yet an hour later the bike was being blown across a plateau of farmlands looking down into steep valleys on both sides. 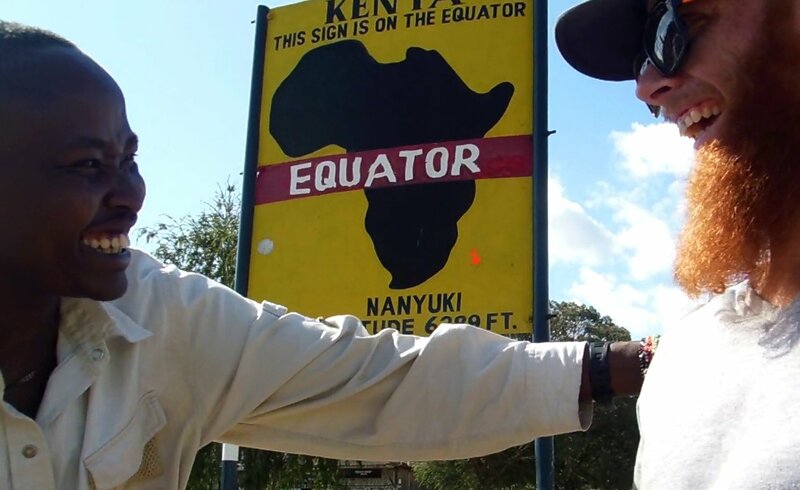 Through forests, over dusty farmland, between green farm crops, around Mount Kenya, past red clay mountains, donkeys, goats, roaming nomads and across the Equator. 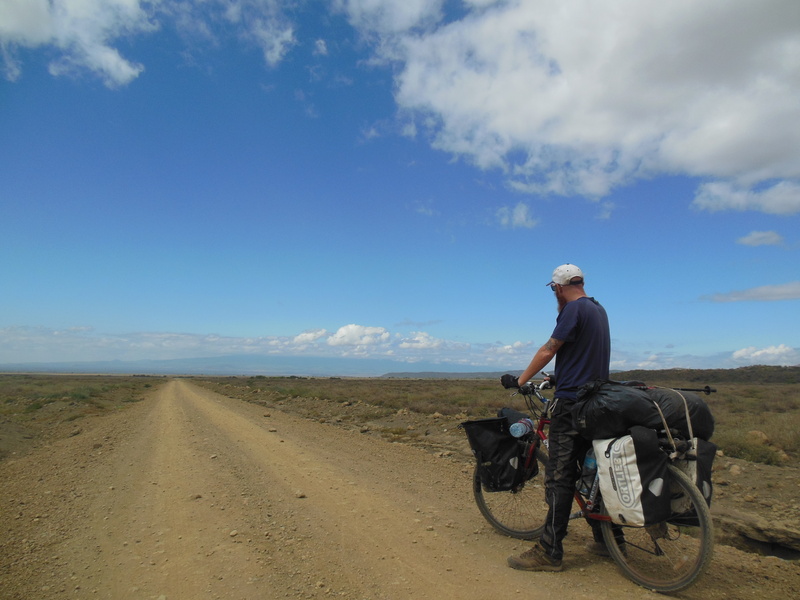 Eventually the road went no higher and the bike was flying back down the other side of Mt Kenya‘s range with majestic views of a much more desolate landscape ahead. 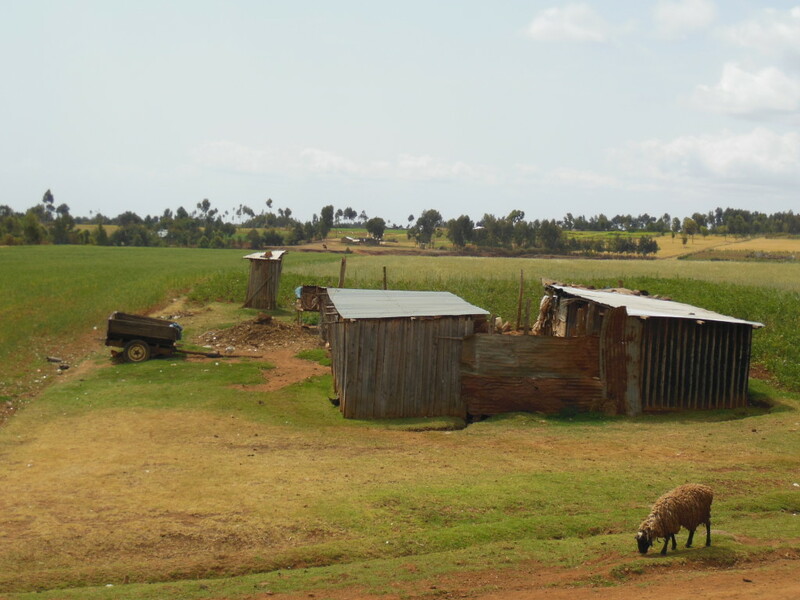 It was nice to leave the chaotic motorways of Nairobi behind and rural Kenya lightened the mood instantly. Immediately after turning onto a quieter road, I came to a long line of ladies on the roadside selling fruit. Quite a large elderly lady stood up, cheered something back to her fellow workers and grabbed my beard as I went past. As soon as this happened, every one of the women (more than 20) were lining the road to have a feel – I didn‘t try to stop it happening, it seemed wrong to deny them such joyful moment. Put simply cycling Northern Kenya is the one place in East Africa that concerns most travellers, myself included. 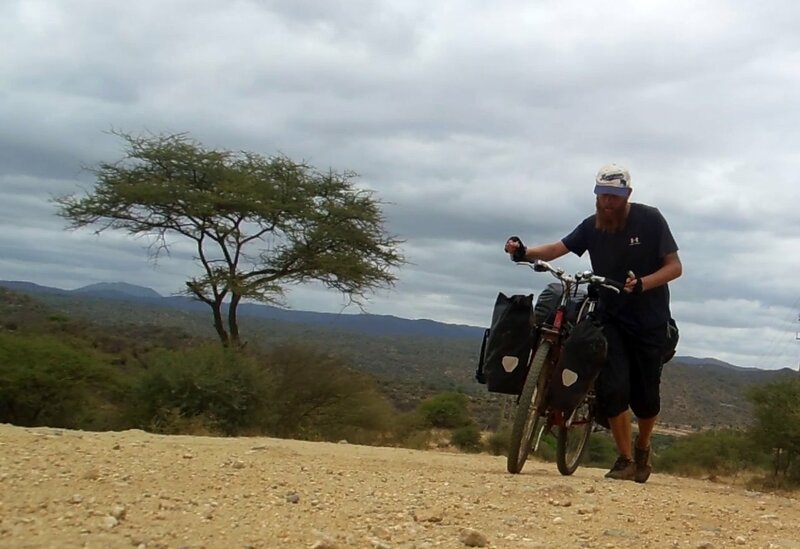 Many people recommended to bypass it altogether but I felt by doing so, I would be avoiding arguably one of the most difficult parts of cycling through Africa – it is genuinely renowned for tribal war and incidents with Somali bandits but there was only one section the police stressed to travel in convoy (Isiolo to Marsabit). Bizarrely, it was the reports about road conditions that were most concerning– “Road From Hell“ and “Meltdown Madness“ were but two common descriptions for the challenge ahead. 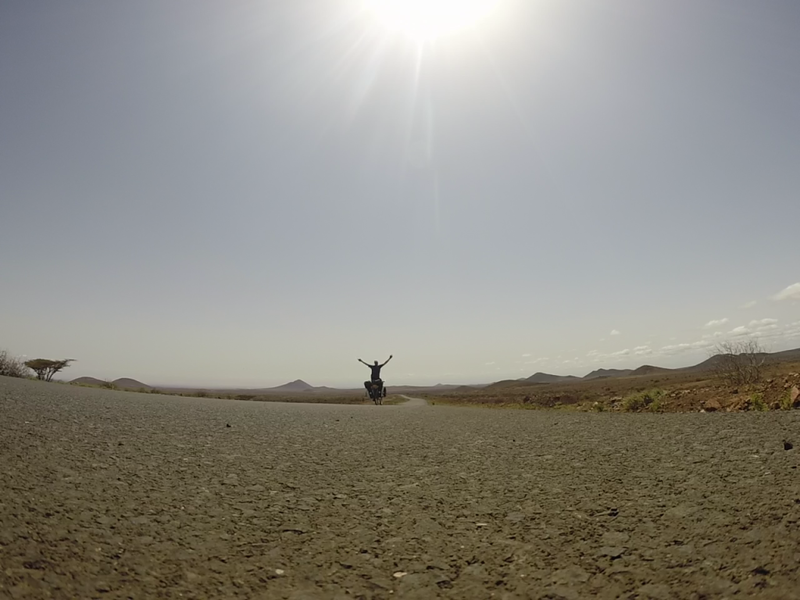 I could only imagine back to how it felt starting into the first Desert in Namibia – it was now quite an amusing memory, especially the first stretch which featured a lot of “Oh no, what the f$#% am I doing?“ . 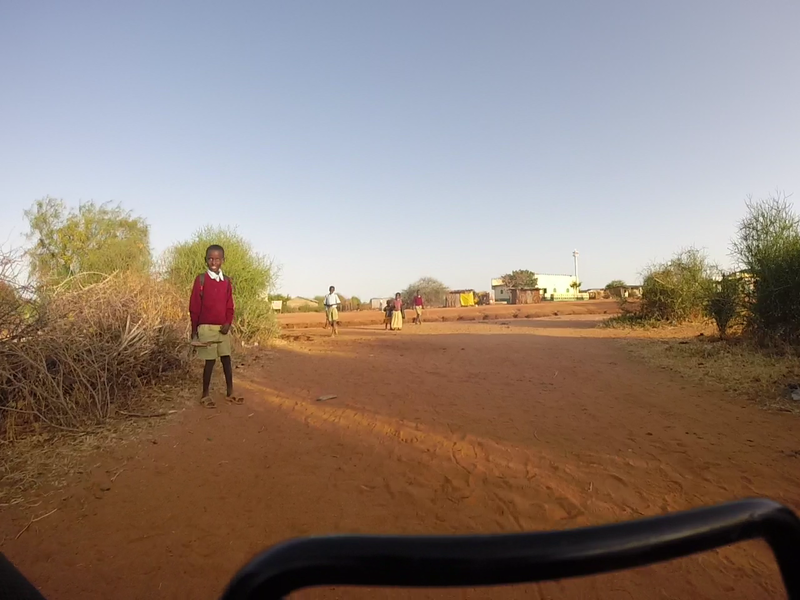 In contrast, Northern Kenya was a more relaxed experience and it began almost entirely downhill on tarmac. 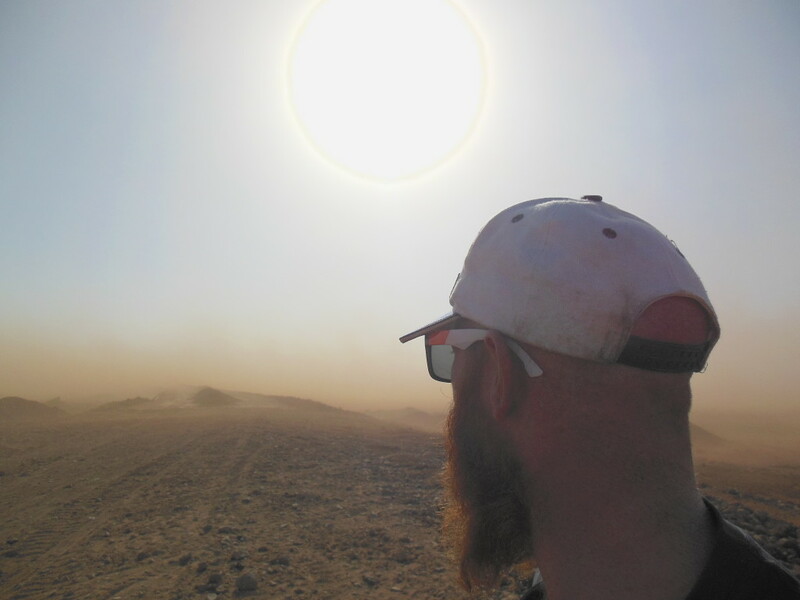 With a 360 horizon of absolutely nothing, it felt like being the last man on earth and I can‘t begin to explain how it felt chasing ten Ostrich down the middle of the road at top speed. 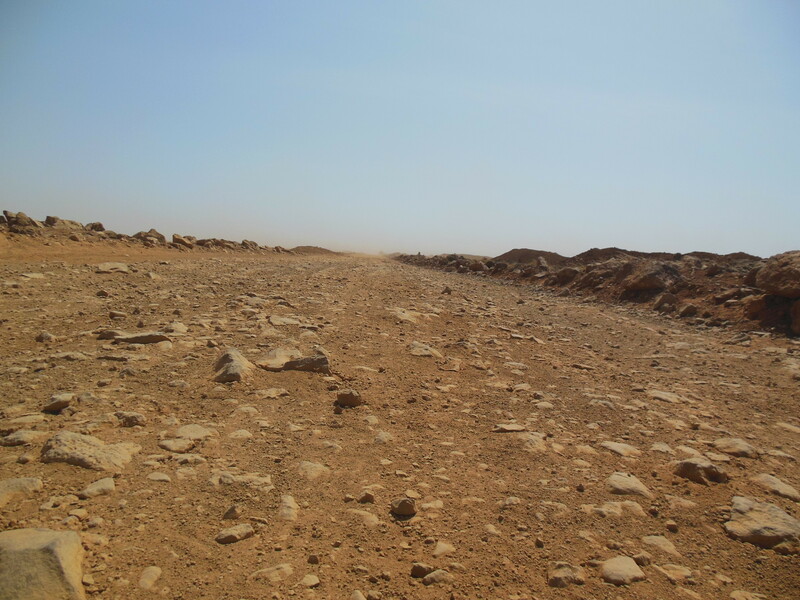 Even the corrugated road in the latter part of that day brought a huge amount of confidence as despite the rocks, sand and bouncing around – it was still quite easy to keep moving. At this stage, I laughed about how exagerrated the reports had been about a so called “Road From Hell“. 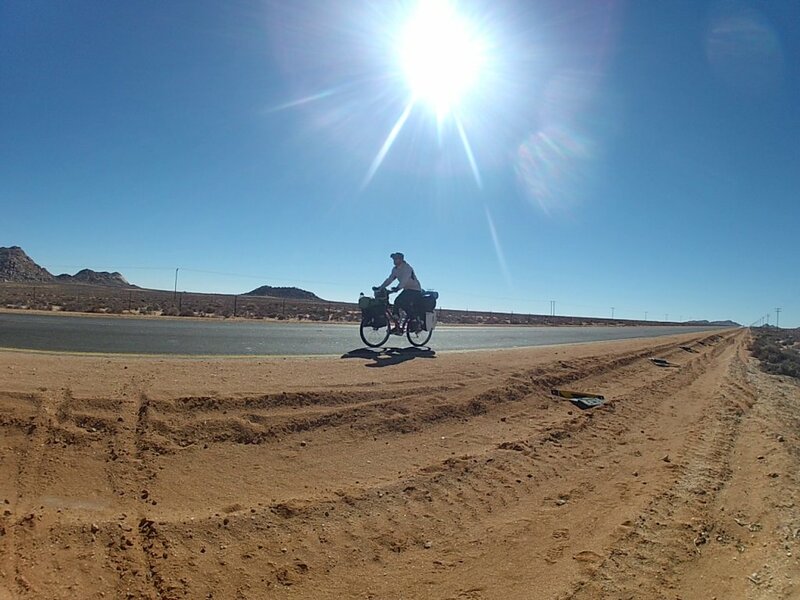 However, this bout of overconfidence saw me bypass where I had intended to sleep on the first night (a tiny township) and continue cycling through the desert with no real idea on where to sleep. 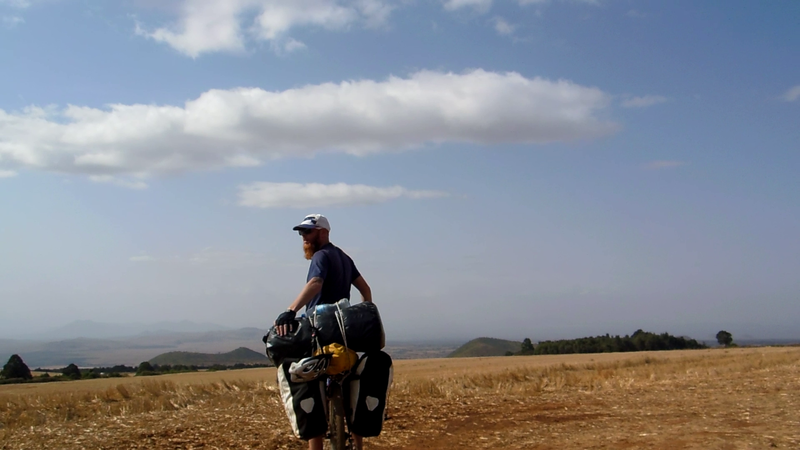 With supplies on the bike it wasn‘t really a big deal but wild camping in an area known for Hyena is something that has always made me feel less manly –it resulted in lots of completely blind hope as the day wore on. 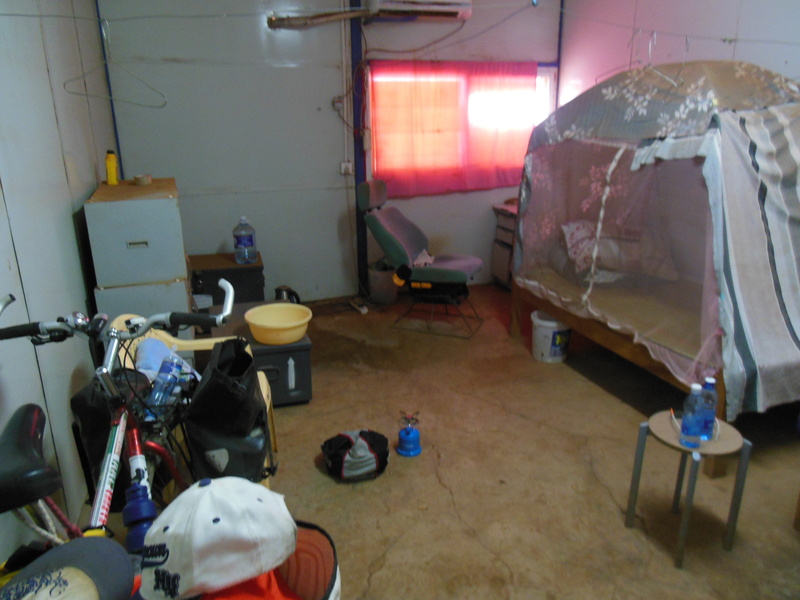 An unexpected haven did appear though – a Chinese roadworker camp. Wondering about the reaction to me pitching a tent next to their cabins proved but a fleeting moment and despite having no English, they gifted 2 bottles of coke, 7 litres of water, dinner and my own cabin with a bed for the night. 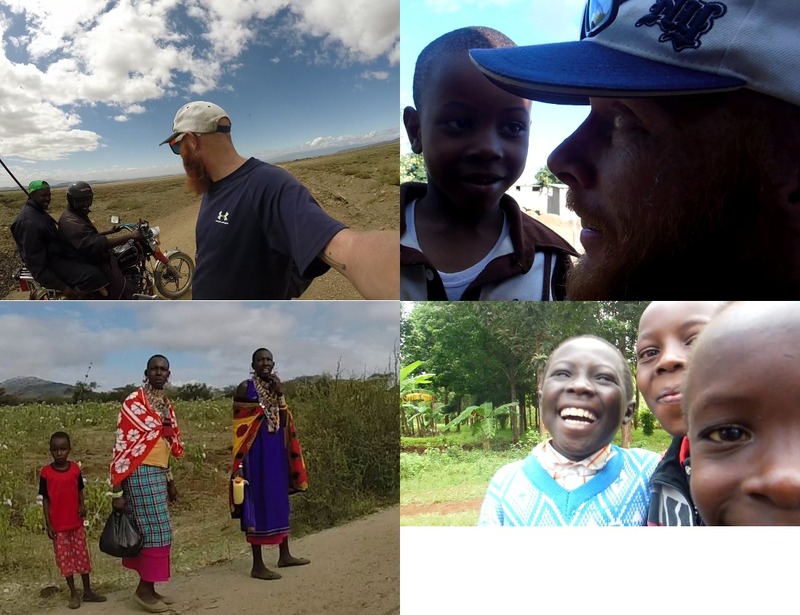 It felt overwhelming to be on the receiving end of so much unexpected kindness as I fell asleep to the chatter of strangers from a far away land. The next morning a sand storm was blowing straight through the camp but with high spirits I decided to cook oats and hit the road anyway. The oats were cooked as planned but unfortunately when I tried to “hit it“, there didn’t seem to be much of a road anymore. Completely covered with sharp lava rocks, stones and sand, it didn‘t matter if it was downhill, sideways or lined with ice cream vans – it was a nightmare. For quite a lot of the time I took off-road choosing to ride in and out of the Lava rocks but it took so long to get past many sections I retreated back to the road of stones. Other times there were smaller sand tracks that seemed slightly easier to manouver but this too seemed like a bad idea when I began losing sight of direction. 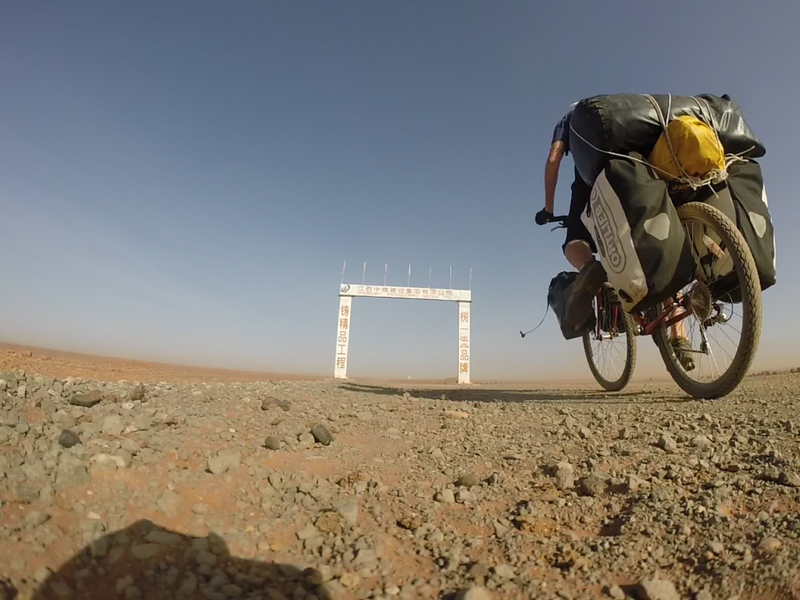 It really was ridiculous but in the midst of this madness, it was also great– I just couldn‘t believe a bicycle with so much weight was able to cross the terrain and the process of making it happen was defying the fears I had of pulling up short when the going really got tough. 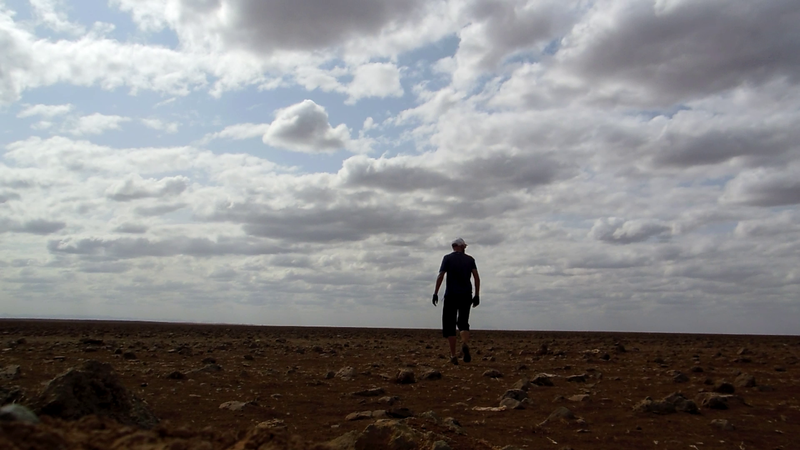 While it‘s truly an awesome feeling to trek across a barren landscape in this way, the novelty wears off and in a similar way to my experience in previous deserts on the Africa bicycle tour when I began pushing hard to reach some sort of civilization again. Many strange thoughts occupied my mind around this time and after stumbling across a few lonesome desert nomads I had quite a long think about how empty life feels without people – it made me homesick for the first time or maybe I should say “people” – people-sick: I really pined to see a familiar face again. 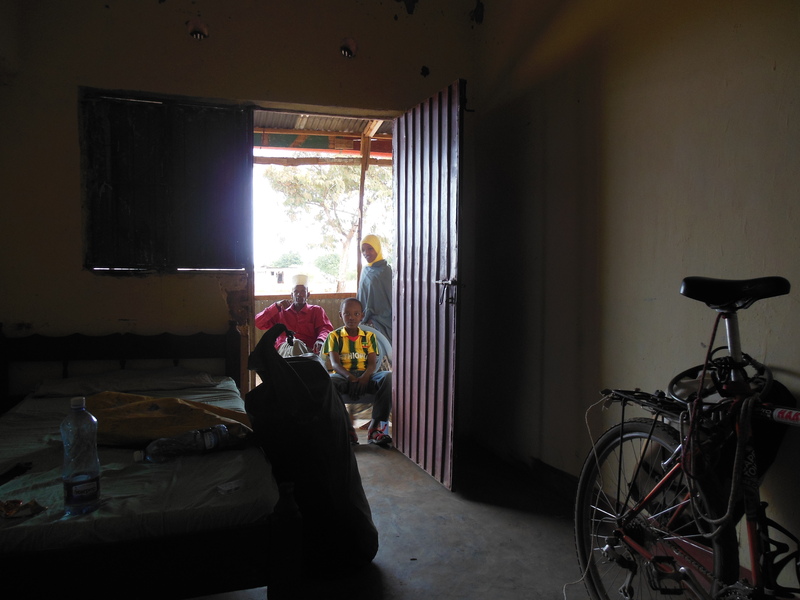 In a village called Turbi the guesthouse on the main road was smaller than my tent so I took up a locals invite to camp on his porch for the night. The sun set above hundreds of little huts all around and by the time night fell, the stars were ready to finish the show. 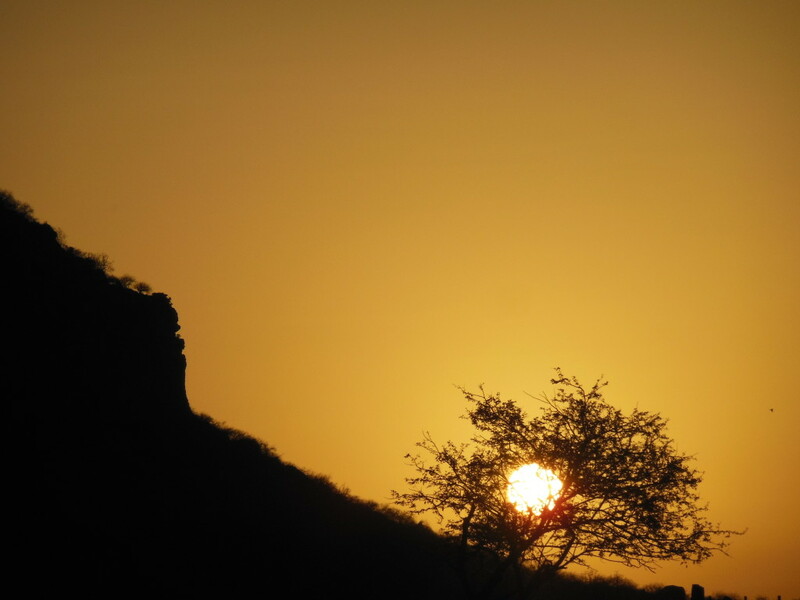 Falling asleep surrounded by traditional African families settling in for the evening and waking the next morning to a big red sun over the desert are probably some of the richest moments I will ever feel. Who needs privacy when you have entertainment? 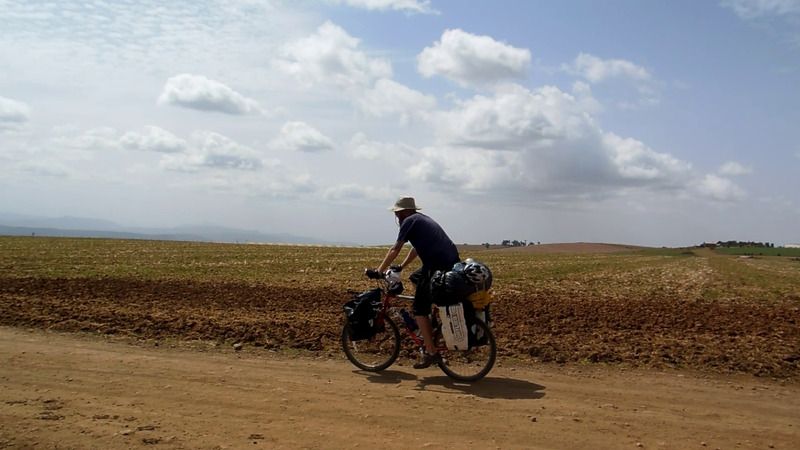 One might feel almost violated by the lack of privacy travelling like this on an Africa bicycle tour but it‘s mostly unavoidable or as this recent incident proved…in-escapeable. While having a rest, the family had opened the door and placed chairs facing into my room to watch what was happening – hilarious! The last and probably the hardest stretch was kept for the end. The road continued to change but with each change came an equally difficult challenge. 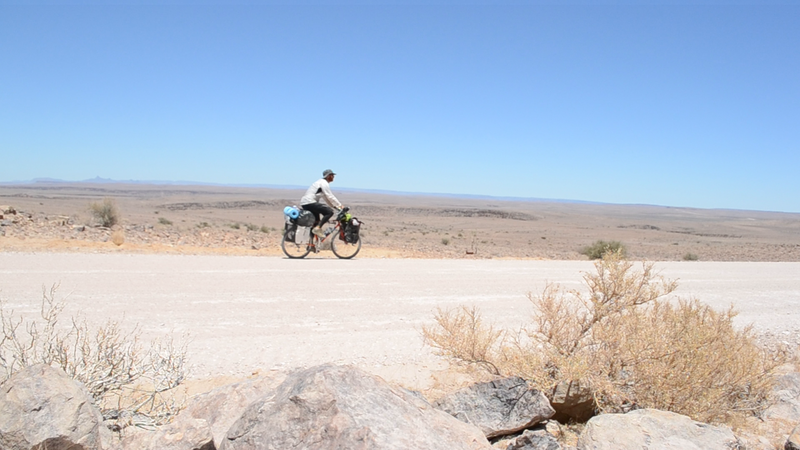 By now the constant bouncing up/down was pretty painful but there was no option other than sit and pedal – it was eerily quiet, with no traffic and a very wild surroundings. On sight, the terrain on the last day looked to be quite easy – almost perfect but it actually turned out to be arguably the hardest. 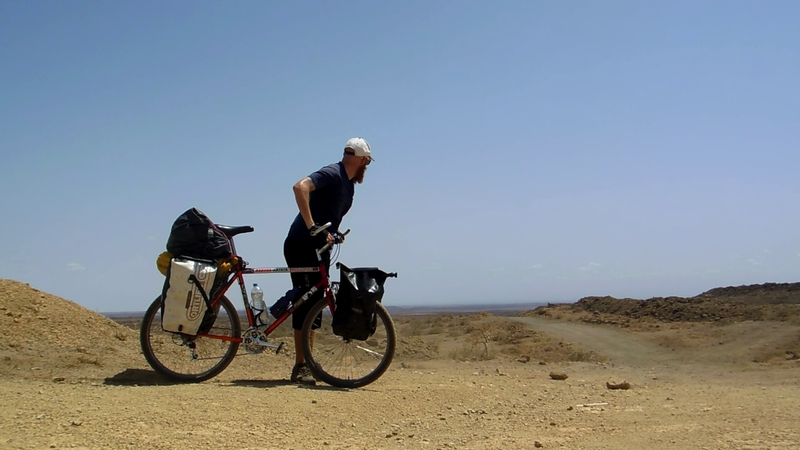 Constantly corrugated and covered in small sharp stones, it made for a very endurance driven last day to the border. Despite the onset of exhaustion, the final day will be remembered for reasons other than the challenging conditions. 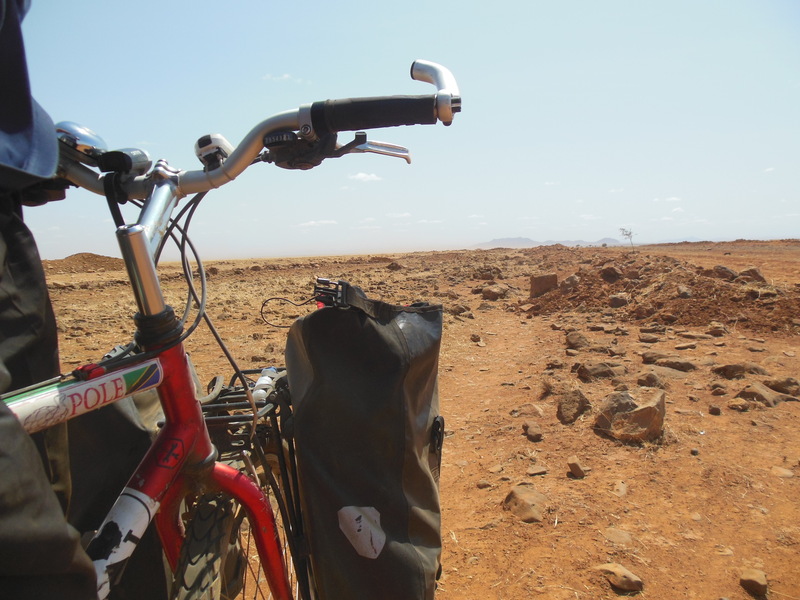 What more of a fitting way to cycle the final road in East Africa, than with countless memories of animals running across the road – Warthog, Baboons, Ostrich, Dik Dik. The biggest surprise however, was the appearance of Camels, the sight of which brought an instant vision of some very famous Pyramids and a sign that Africa was changing again. 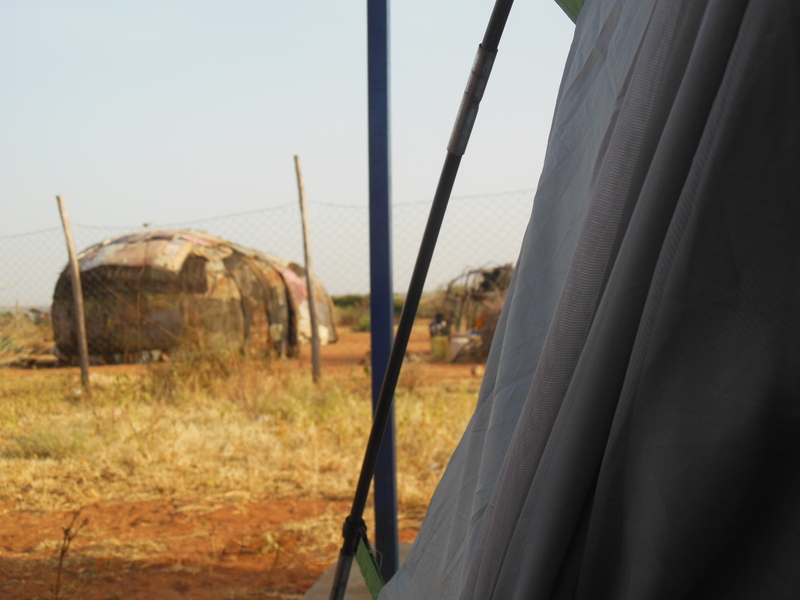 There was to be no sign of Somali bandits or tribal war in Northern Kenya, which is not to say it doesn‘t exist (it does) but the advice received in Nairobi was starting to appear exaggerated and suggested the people giving such advice had not actually travelled there themselves – ironically it seemed those giving advice prior to the trip had not been to Africa either. It‘s not a game or a competition but it‘s hard to argue that when people feel they can‘t do something themselves, they want to tell you that you can‘t do it. I guess experience will always exceed any amount of thought and eventually descriptions like “too hard“ become just two words for those who give up on the idea of doing something themselves. But in the midst of this journey it strikes me not to take it personally, that while you should never let anyone make you feel that you can’t do what you want, it‘s most important not to do this to yourself – It‘s not a case of defying other peoples opinion or validating their fears – it‘s about defying self-limiting beliefs in general because in the end, we all have the same concerns. 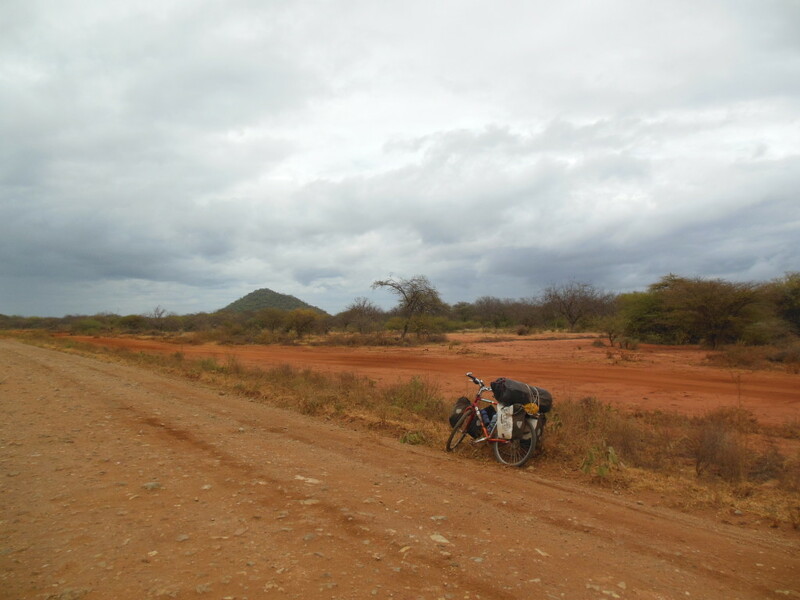 This was not the most difficult road in the world and it was not the first time anybody cycled it but it was my first time – cycling Northern Kenya went a long way to stripping away years of my own self-limiting beliefs and brought home the real reason some succeed where others fail. It‘s nothing to do with academics, talent or ability – the power of the mind and human spirit transcends all of these. I found reason and meaning behind pushing on every day in the growing confidence – a reward for pushing through the mental boundaries or physical limits that now appear imaginary. I learnt from experience it’s possible to prove to the body, through the mind, that it can do far more than you ever thought possible and that when you want something bad enough in life, the world seems to have some wondersome way of helping to make it happen – whether it be the appearance of kind Chinese roadworkers or the miraculous fact that not a single puncture was endured on the so called “Road From Hell”. 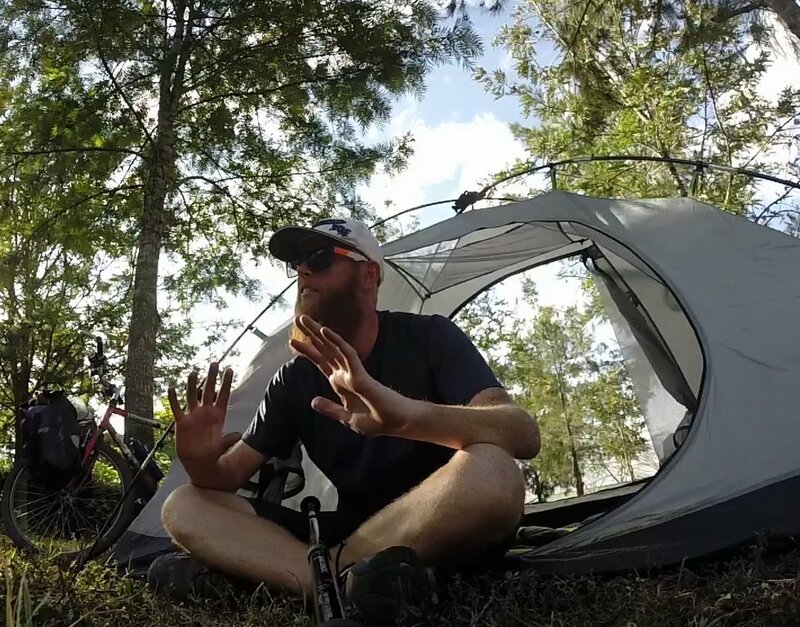 Although most people may mean well, had I listened to all the comments prior to the trip I would probably be still eking through life wondering why nothing seems to change and if I took the advice to bypass one of the hardest parts of cycling through Africa, I would not have experienced what can be gained by pushing through such adversity. I’m now proud of that answer. It’s still hard – it always will be, there will never be an easy way to change direction or go through with something daunting and there will always be a fight against the fears of everybody else. Thankfully, what comes from challenging fears is a confidence that leaves no questions and it brings forward a time when self-limiting beliefs are left only for those who are afraid to tear them down. I guess that’s the difference in believing: Being less invested in what other people think and more interested in what you tell yourself. 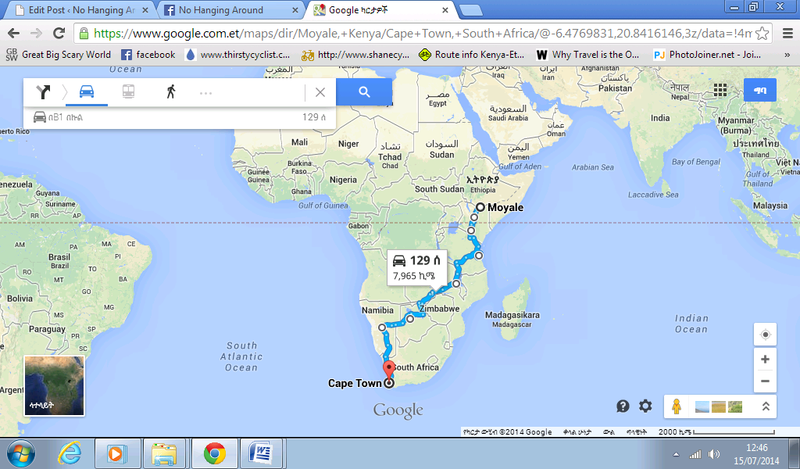 Reading about your interesting adventure, i felt happy for your decision to go ahead with your safari. Despite so much negative and discouraging comments. I commend you for your bravey and strong spirit of believing in your self.